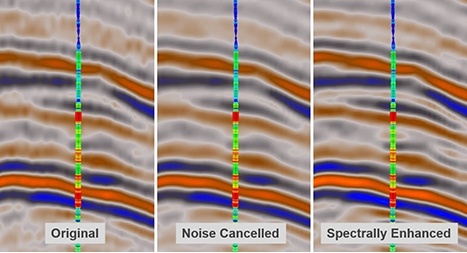 "By using GeoTeric Data Conditioning I was able to map my Horizon much faster and more reliably than before"
Improve signal to noise ratio and vertical resolution for the best possible post-stack seismic data conditioning results. 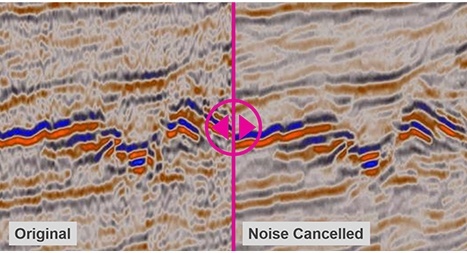 Interactive data conditioning tools offer preview-based noise attenuation and spectral shaping tools, enabling you to optimize your seismic data and gain a more detailed analysis and interpretation. 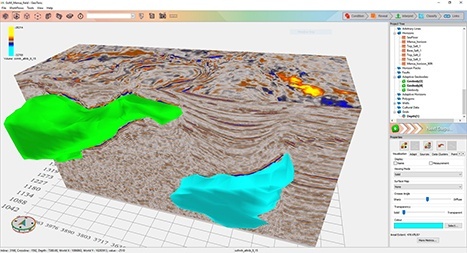 GeoTeric’s example-driven workflow technology gives you the control to investigate and determine your optimal parameter settings, with maximum efficiency. 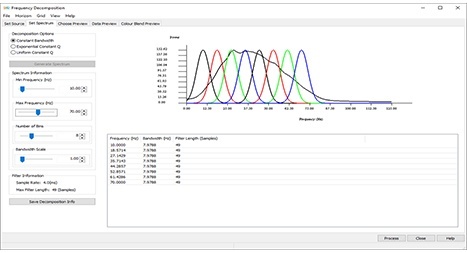 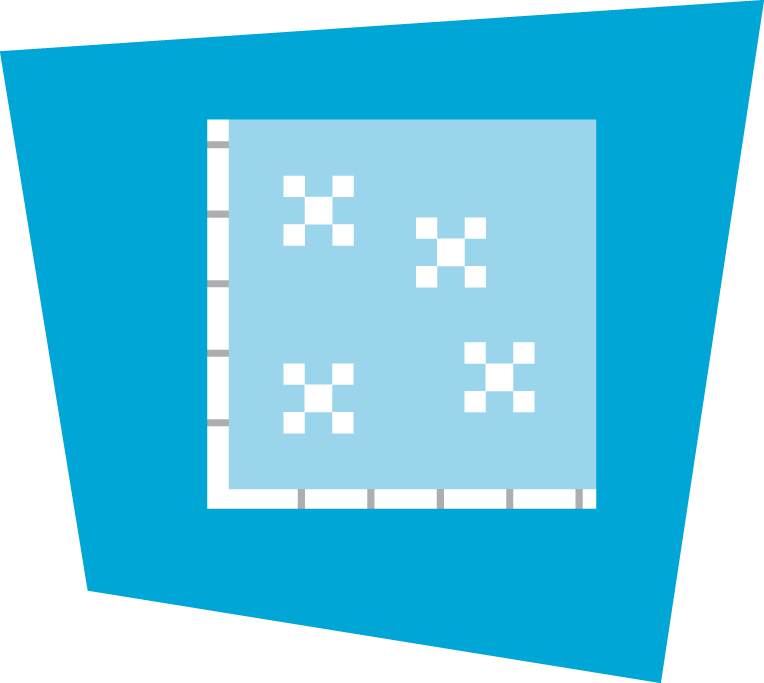 Increase the signal to noise ratio to enhance reflector continuity and improve data resolution to better localize events. 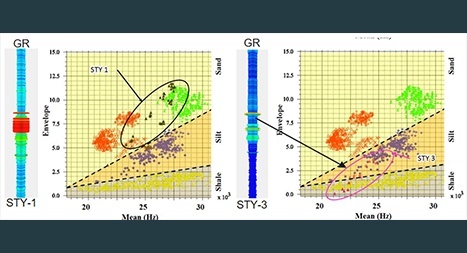 Stratigraphic analysis using Frequency Decomposition & RGB blending, Iso-Proportional slicing, and geology guided attributes. 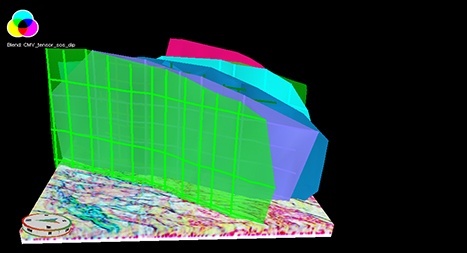 Structural Analysis using Fault Delineation & CMY blending, Dip Azimuth and Curvature. 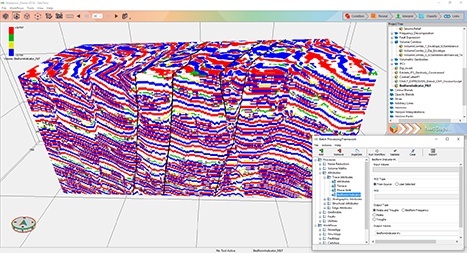 "GeoTeric is one of the best Seismic Attributes tools for structural studies, allowing to identify faults with different seismic attributes combinations. 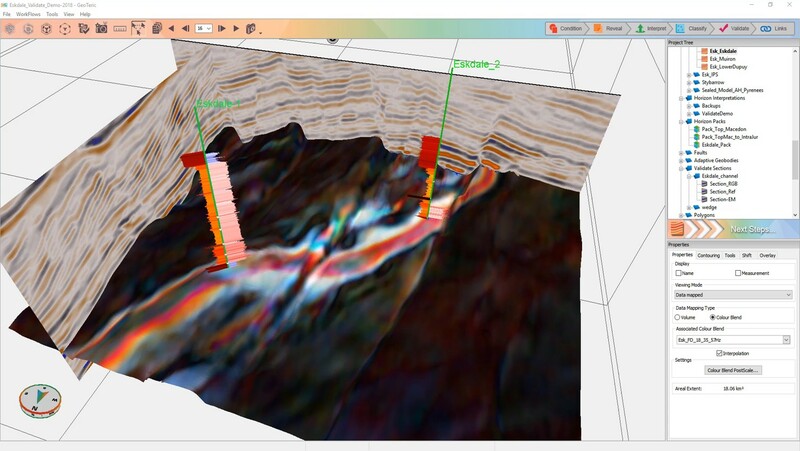 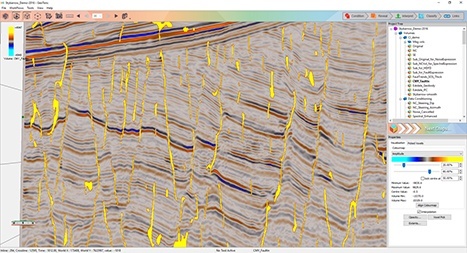 The inclusion of ready to go batch processing routines facilitates using the program to generate attributes and filters in seismic data"
Reveal the geology in your data for a more insightful interpretation. 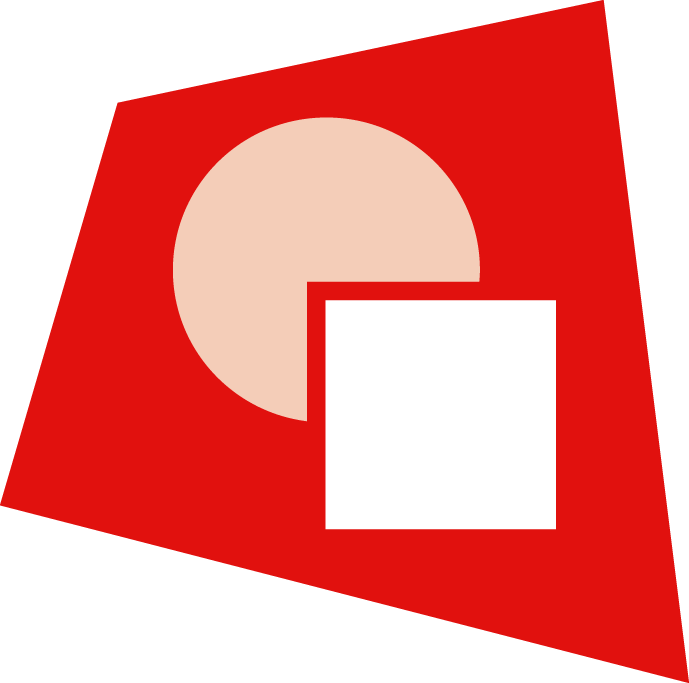 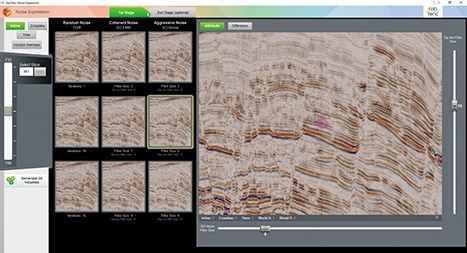 GeoTeric’s Reveal module comprises a comprehensive suite of attributes and volume mathematics tools to allow you to “see” and understand the geology before you interpret. 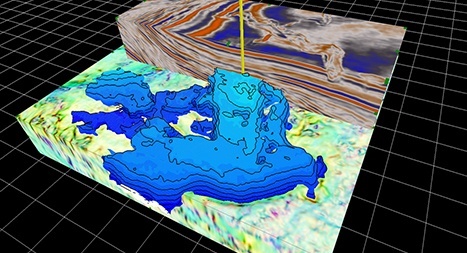 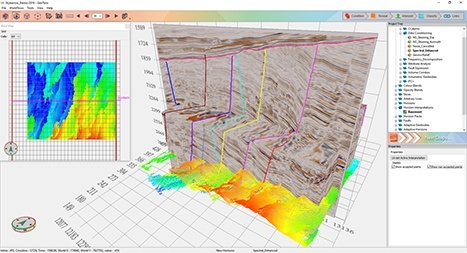 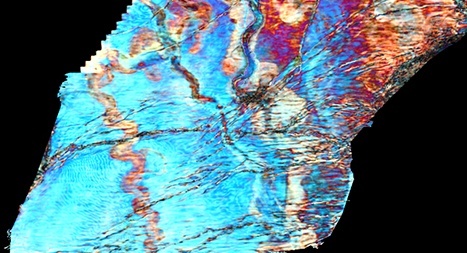 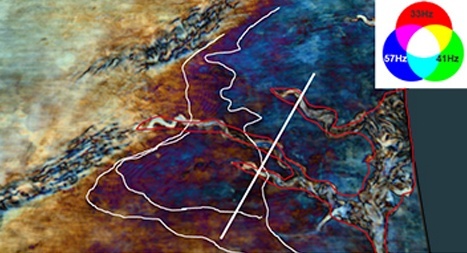 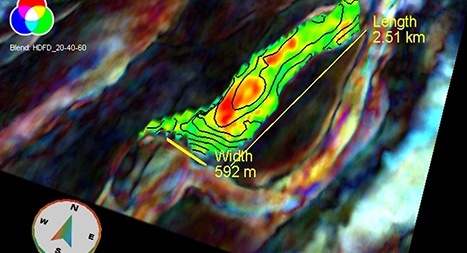 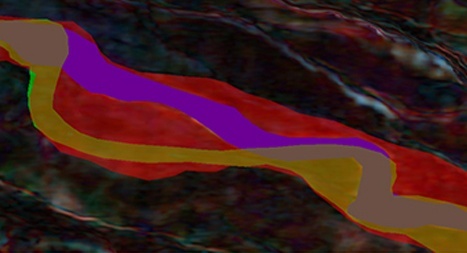 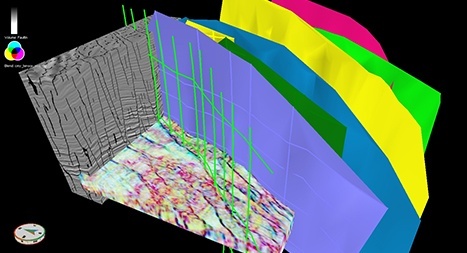 Industry-leading techniques including High Definition frequency decomposition combined with multi-attribute structural and stratigraphic analysis give a detailed geological understanding. 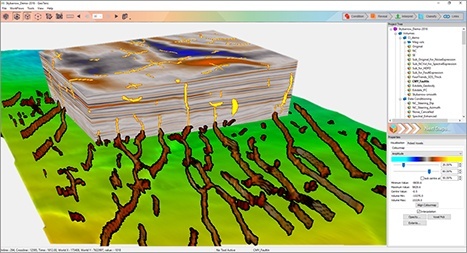 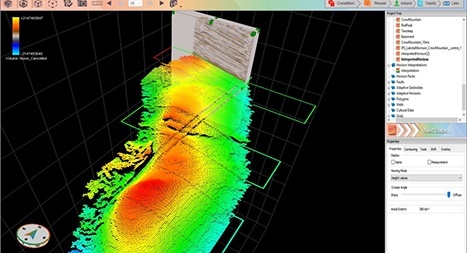 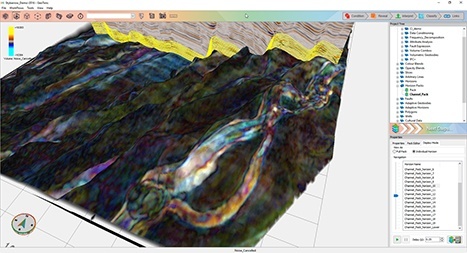 "GeoTeric volume attribute / geobody mapping and 3D visualization enable us to investigate and help us better understand the Geology of an area. 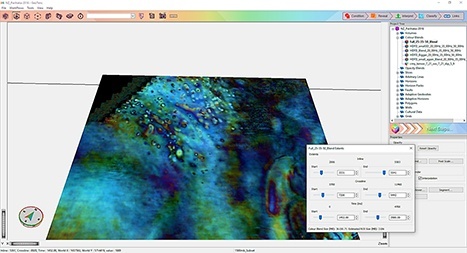 In a carbonate reservoir, mapping of internal layer helps better understand how the reef develops through time"
Our patented and uniquely powerful tools enable you to accurately interpret exactly what you see using a data-driven but interpreter guided approach. 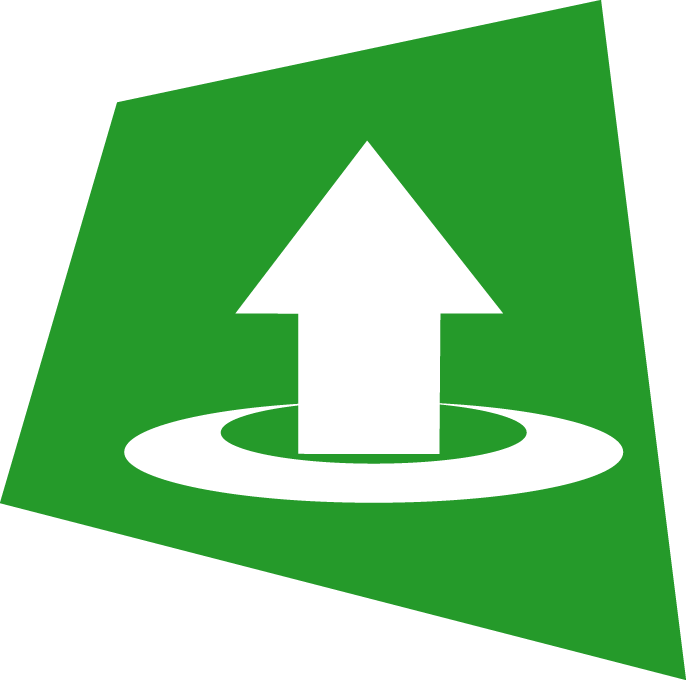 Being able to extract the information from the data is the key to generating value. 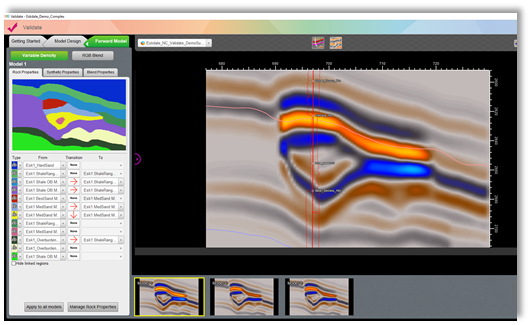 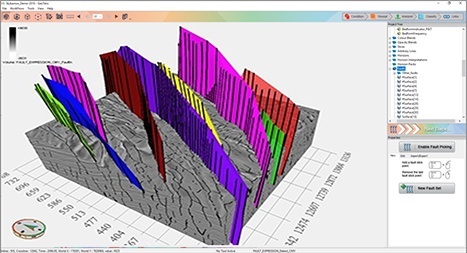 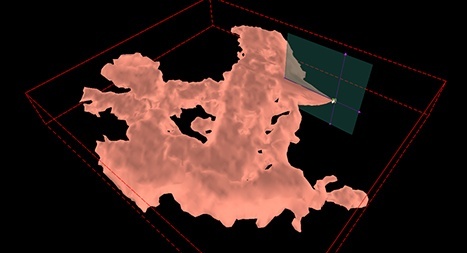 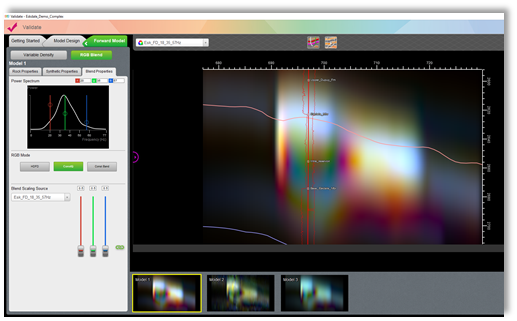 GeoTeric is the only application to enable full horizon, fault and geobody interpretation directly on the RGB, CMY or HSV blends that most effectively reveals the geology. 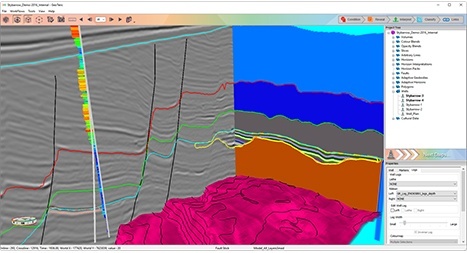 Interrogate the geophysical response with intuitive data-driven and semi-supervised tools, while maintaining the geological context. 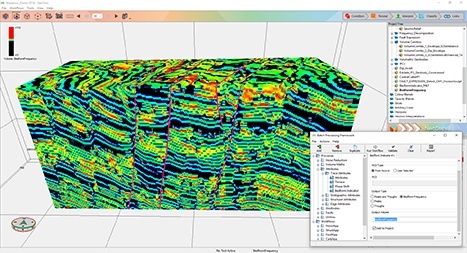 Correlating your well-data with the seismic and attribute response, to build your remarkably accurate reservoir model, completes the workflow. 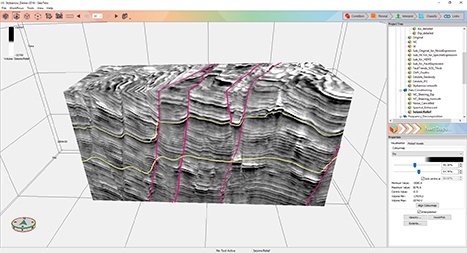 Any classified volume honors all your available data while incorporating your own expert understanding of what is geologically feasible. 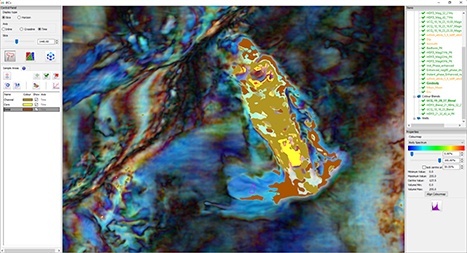 User-guided hierarchical facies classification for regional and reservoir level classification. 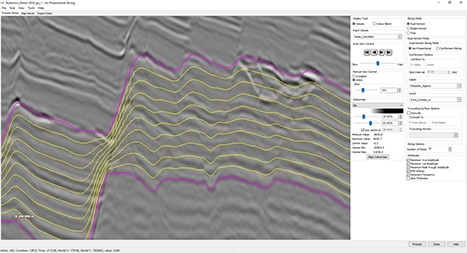 Easily combined with Adaptive Geobodies to constrain the classification. 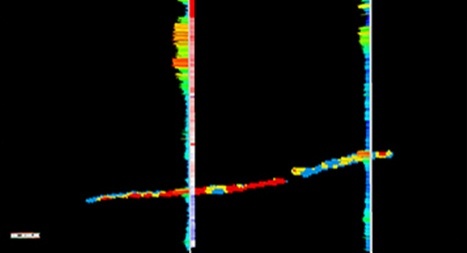 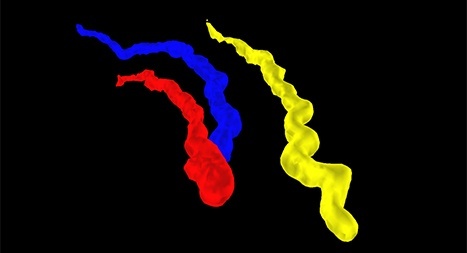 Closing the loop, validate the model by converting to synthetic seismic and correlating with the original data. 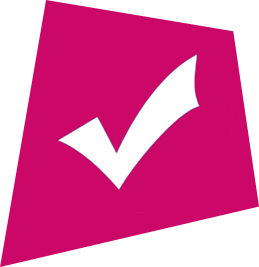 QC and validate all available data, and/or the current hypotheses. 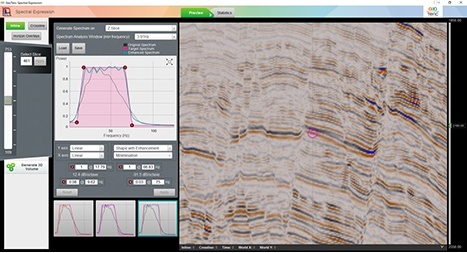 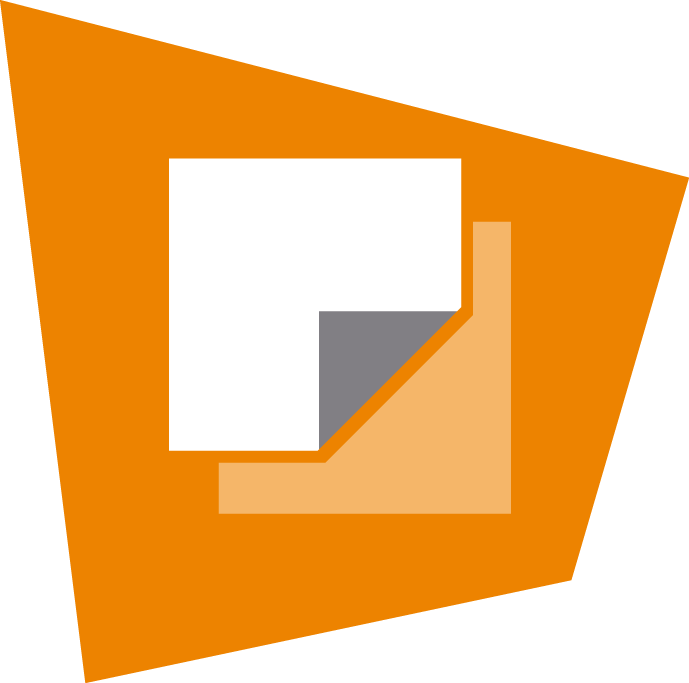 GeoTeric’s Validate module enables you to QC the accuracy of your interpretation and hypotheses. 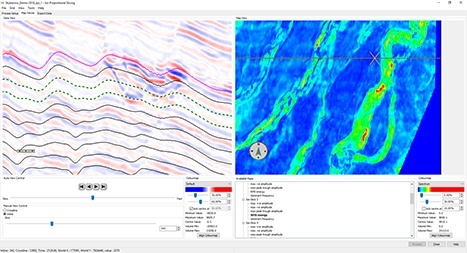 It allows you to test different geological scenarios and fluid/lithology models to de-risk drilling decisions. 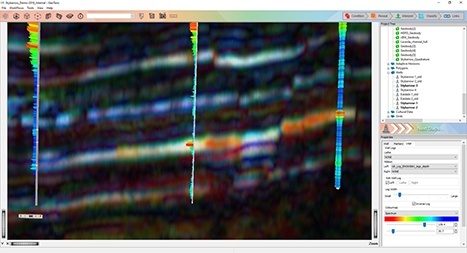 It provides a better understanding of what is happening between wells. 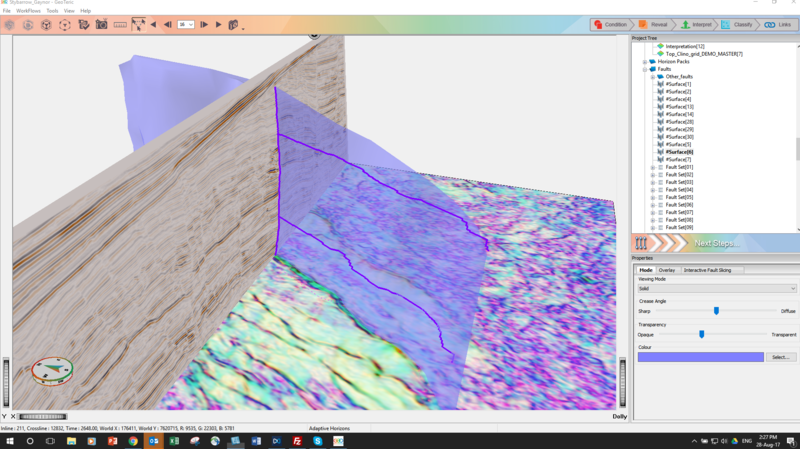 Designed for cognition, GeoTeric’s intuitive interface helps the user progress through the software and interpretation process in a natural manner. 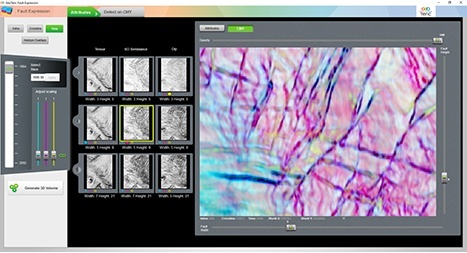 Context-sensitive guided workflows further aid ease of use and efficiency. 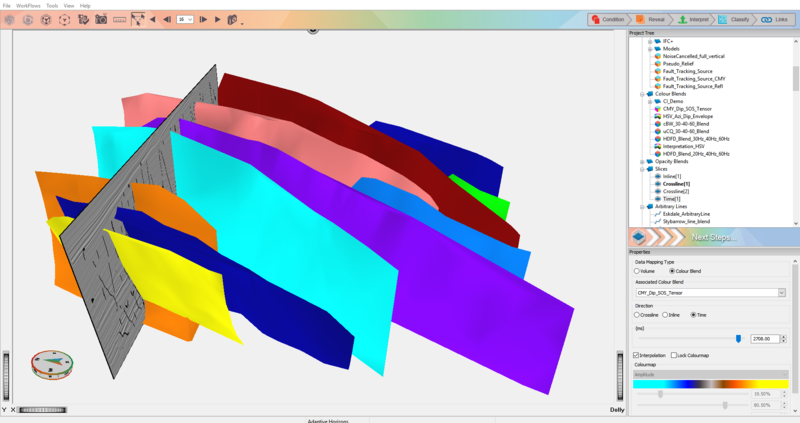 Running Frequency Decomposition on a 100GB Volume, GeoTeric is 6x faster, requires 10x fewer mouse clicks and 5x fewer windows than conventional interpretation platforms. 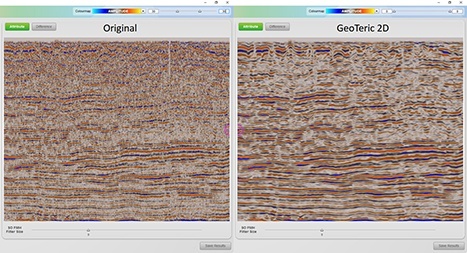 Now you’ve seen what GeoTeric can do, it’s time to see GeoTeric in action.